tea sets are superfine, it is no exaggeration to say that they are half of the tea culture. To study the tea is to know and understand the tea sets well. 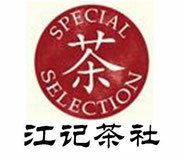 Different kinds of tea require different tea sets, in particular for some special tea, only in special tea sets, can brew its characristics and its unique charm. In plain English that make tea with different and suitable tea sets.For example, brew scented tea in a covered tea bowl, green tea in glass and Oolong tea in a complete Gongfu sets. 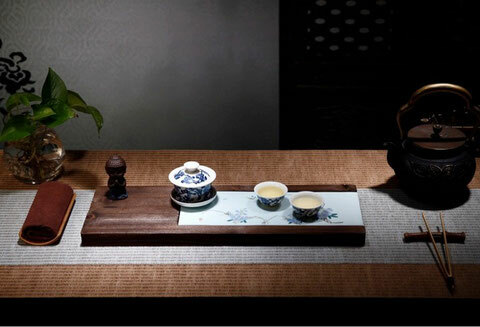 Since tea sets can not only set off the luster of the tea soup, but also effect the taste and aroma. Around the tea’s getting, brewing , holding of tea soup and drinking etc, there are various tea sets. 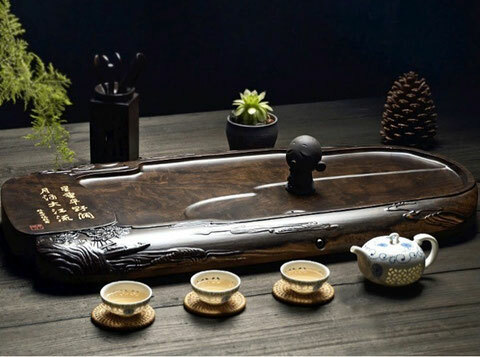 Such as a set of formal Gongfu tea set needs more than ten utensils, which include tea cannisters, teapots,tea plates, tea pitchers, tea cups, aroma cups, cup saucers tea spoons, tea holders,tea pins, filter cups, tea towels, water basins etc, these objects are small but exquisite. While choosing the tea sets, you should focus on your own preference, instead of the price. For those people who drink tea every day, they care the comforts of the sets , rather than others’ evaluations. However, keeping the tea sets as a collection is another cup of tea. Green tea:Transparent glass, or the tea sets in white porcelain, celadon or blue and white porcelain. Scented tea:Celadon, blue and white porcelain tea sets. Yellow tea: Milk white, yellow vitreous enamel, orange tea sets. Black tea:Sand-fired ,white porcelain, red vitreous enamel, warm colored porceplain sets or coffee pots. White tea:White porceplain tea sets. Oolong tea:Sand-fired tea sets or white porceplain tea sets. 1.Brewing the top grade green tea like west lake dragon well. It should be closed sealed just after flushing, but being catty-cornered with a bit edge out to avoid the leaves get yellow. 2. Green tea need not to be washed, but to be brewed in the 85 ℃water,which is putting cold after boiled to avoid the leaves being scalded by hot water. 3. 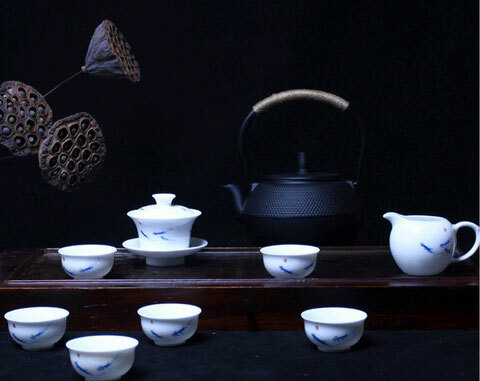 The most commonly used tea set is glass for dragon well tea, in order to better appreciate the tea dance and turn up and down in the water.It is also available to use porcelain tea sets, which are better interpretation of Dragon well tea. China is the hometown of tea, and tea is a prosperous beverage in the world. Who is the first one that discovere it and distinguish its medical effect and make this healthy plants known by all the people? There was a saying in Lu Yu’s Book of Tea, “Why tea becomes a kind of drink,because of the discovery of Sheng Nong and the spreading of Luzhou Gong” Emporer Yan also named Shennong Shi is recognized as the ancestor of the whole nation of China.In order to make people eat safely, prevent illness, he personally tasted hundreds of herbs to identify whether the herbs could be eaten or not. At the same time , he found the special medical effects of tea. According to legend that ShengNong tasted all the herbs to help people,while there were many delicous fruit or vegetables,which could be served as food, meanwhile there were still many poisonous plants. Once he ate a kind of poisonous herb by accident, then he fell down. After he woke up, he found there was a little tree next to him,which with a smell of fragrance,ShenNong couldn’t help picking up a leaf and chewing in his mouth, immediately his mouth filled with fragrance and he was fine. After that,ShenNong transplanted the little tree to the human’s settlement, likewise, this tree was a tea bush. The Book of Sheng Nong’s Herbal had recorded that, ShenNong tasted hundreds of herbs and being in seventy-two poisons, but was cured when he discovered tea.This is better proved that tea as a drink and medicine was discovered by the chewing of Shen Nong and his experiments. It is still remained in some minorities of Yunnan province that people eat fresh tea leaves and buds. 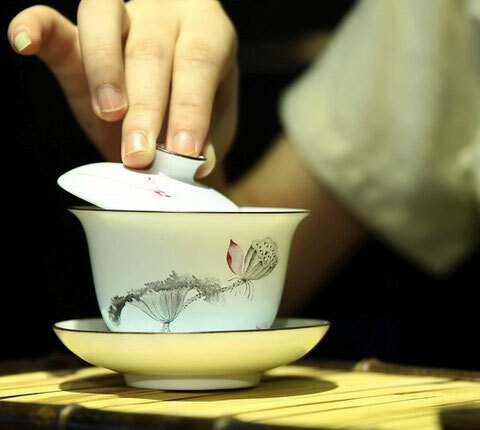 It has been thousands of years since ShengNong’ Period, tea has already served as a public health drinks and walked into every family.Currently, besides China, there are a lot of people in diffferent counties are fond of drinking tea. Tea, has been not only as an integral part of daily life, more of the beverage as a kind of life culture, which comes from distant myths and legends has been into modern life.